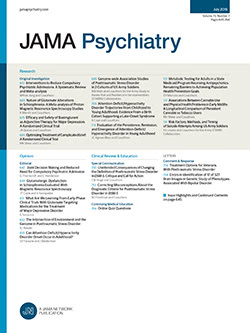 I appreciate the article by Coid et al1 in which they reported raised incidence rates of psychotic illness in all minority groups compared with the white British population in an area of inner London, England. They invoked the stress-vulnerability model to explain their findings. They suggested that socioenvironmental stressors faced by the migrant groups in their adopted country could have contributed to the pathogenesis of psychosis in these groups. They suggested that other hypotheses for explaining the higher incidence of psychosis in migrant groups, such as selective migration of prepsychotic individuals, and higher rates of psychosis in the immigrants' countries of origin are likely to be incorrect. They also suggested that a predominantly genetic explanation of increased incidence of psychosis among immigrant groups is likely to be incorrect.